Do you have regular clients who you would like to assign a permanent discount to? Well, you can do just that! Check out how you can set up your client discounts in a few easy steps. Let's go with the example of a VIP Discount. You want it to be a permanent discount, which is automatically applied to all of your VIP clients. First, create the Client Category. To get started, you'll need to create your VIP Client Category. 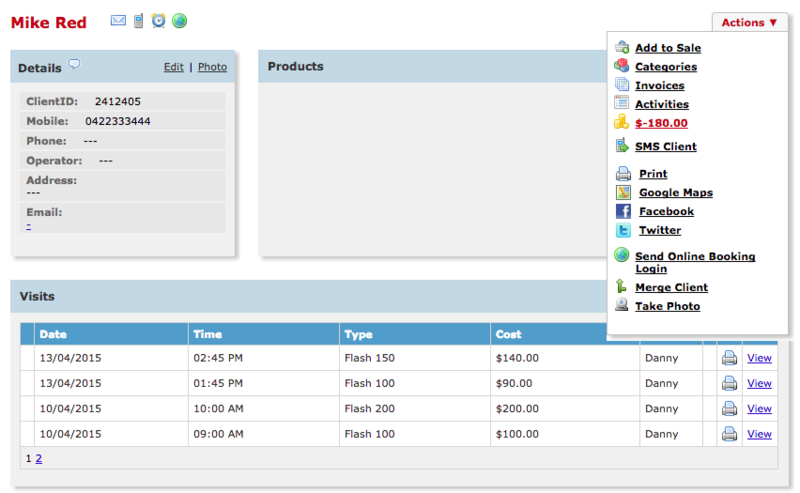 Pop over to your Lists tab in Admin and select the Client Categories option from the drop down menu. Click New and give it a client Category Name on the right side panel, click Save. Note: You can tick the Add To New Clients tick box if this is relevant to your discount. Second step, create the Discount Type which will be applied to the Client Category. 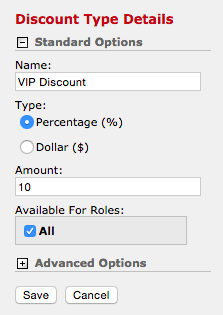 Now let's create the VIP Discount Type. Once again, we're in the Lists tab in Admin. Select from the drop down menu the Discount Types option. Note: If you can't see the Discount Types option in your dropdown menu, this means that you have not enabled it in your 'Settings'. Click here to learn how to enable the Advanced Discounting to be able to create your discount types. Click New and fill out discount details on right side panel. Expand the Advanced Settings, at which point you can specify the day(s) the discount is available on, or even restrict it to a Limited Date Range. This will be relevant in the event of a promotional discount, which has an expiry. Tick the Client Category, which this discount is to be applied to. In this case, VIP Clients. Lastly, tickApply Automatically and Save. Now to assign the client to the category, we're nearly there. Using the Client Search (right side panel) search for the client and go to their client card. In the Actions menu of the client card click Categories. 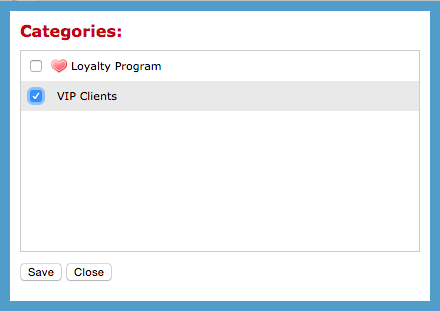 Tick the client category which they belong to, and Save. Now each time you have one of your VIP Clients come in for their appointment, the discount will be automatically applied to their total when you add the client to POS. Get creative with your Client Categories and Discount Types. Think in terms of promotions & marketing; use the functionality to work for you! You will generate more business by target marketing to specific groups of clients.